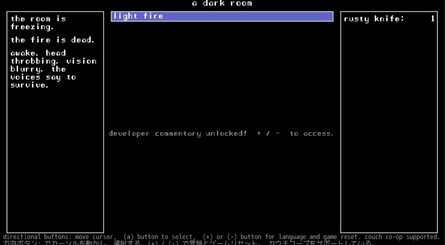 CIRCLE Entertainment has revealed that A Dark Room will be launching on Nintendo Switch next week, telling us that "there’s no other experience like it" on Nintendo's machine. 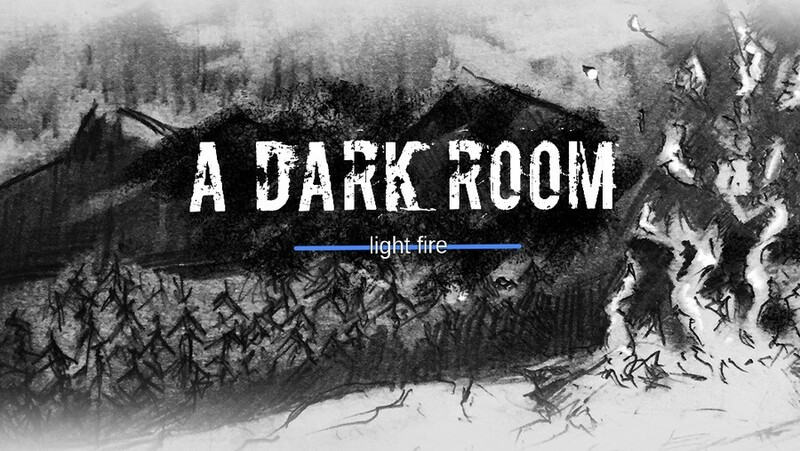 We first reported on this one back in August of last year; the game is designed to challenge the player’s perceptions, actions, and imagination, throwing them into a dark room with limited interactive options. Things soon open up, though, as it evolves into a complex story with a resource management challenge at its core. The game was originally created by Michael Townsend before being converted by Amir Rajan and released to critical acclaim on smart devices. 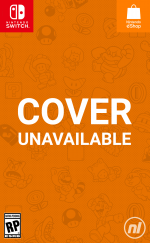 This new version for Switch has seen something of an overhaul, with all-new sound design, a revamped user interface, new developer and publisher commentaries, and a system-exclusive co-op mode. As you can see from the screenshots below, this isn't your usual Switch release. It arrives on 12th April, available directly from the Nintendo Switch eShop for $6.99 / €6,99. Intrigued? Let us know if you'll be keeping an eye out for this one in the comments. This looks really neat. As a fan of narrative- and writing-focused games, I'll be sure to check it out. Hard pass. There are reasons why text based games fell by the wayside many moons ago. Rather read a book than read off my TV. 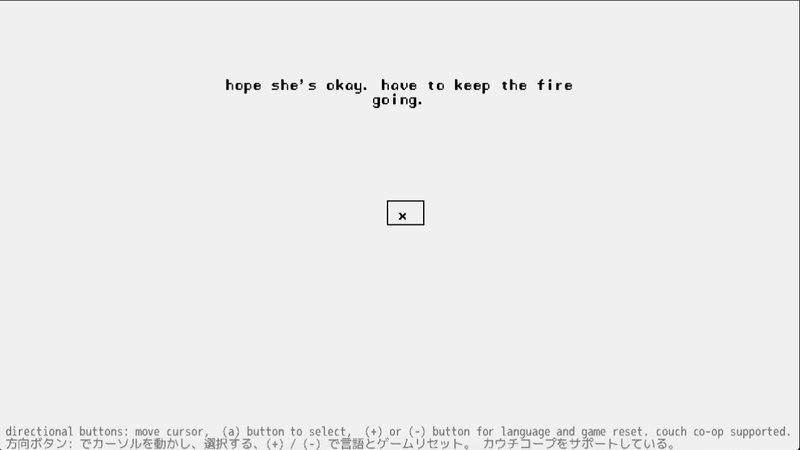 This isn't an old-school text adventure. It's one of those browser based micro-management things. I hope it runs at 60fps. A Dark Room is a riveting experience. There are a decent number of plot twists and game play changes throughout, and multiple different endings / ways to beat the game. I've played through it multiple times on iOS. Having said all of that, $6.99 is really steep for what it is. I'll add it to my wish list and pounce when it's 50% off or more. I'm intrigued. It's so old school it's something I've never tried. I wanna go! You don’t need to play this on Switch. But I recommend everyone should play it. There is nothing else quite like it. 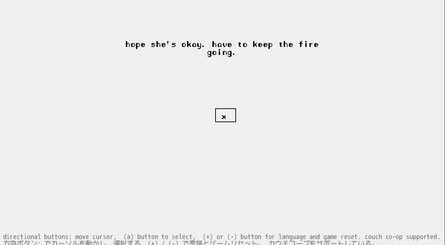 Unique game, almost a visual novel with other elements, that very much lives up to the Dark in the title. I grew up on text-based adventures... I'm definitely interested! 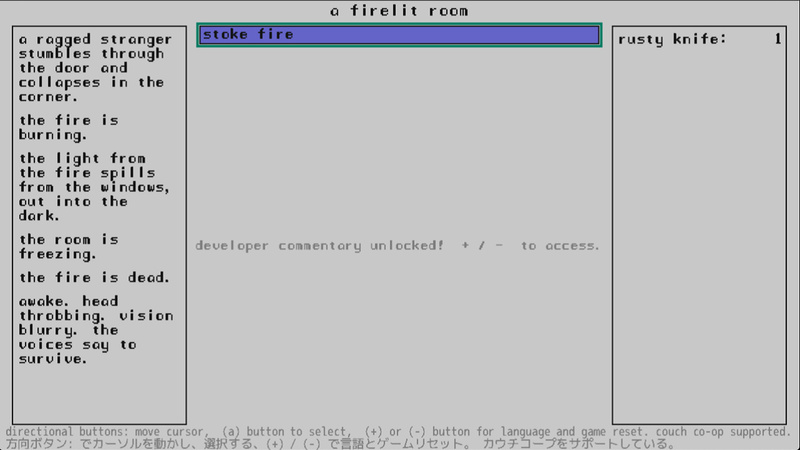 Haven't played a text-based adventure since the Spectrum ZX. I loved the Knightmare ones and Hitchhikers Guide To The Galaxy, but I remember playing loads. If this is done well, it should be a great nostalgia trip. @LavaTwilight I was hoping that maybe there would be some super-sampling action. Native 4K rendering at 1080p or bust - really push that Switch GPU to it's limit. LOL! Hard pass if it doesn't have 4k ascii art and not have a physical release. Was definitely interested until I realised I’ve got it on iOS. Had no idea but might play it now. Wow. Talk about serious nostalgia trip. 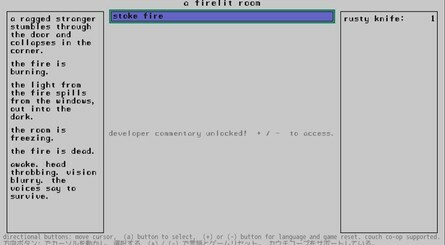 One of my first computer game experiences was a text based game on my mums old BBC computer. I think you can play this for free in a web browser... Don't get me wrong, it's an amazing experience but $7 is a bit silly. This is how you read books from your floppy drive in MS-DOS. It’s a nice little game but not one of those “perfect for the switch” type games as it doesn’t need much in the way of controller input - perfect for iOS maybe (in the least derogatory way that can be meant). But this is a total rip off - about 7 times the price I paid for it on mobile 5 or so years ago. I’m sure it will inevitably go on sale at some point to the price it should have been from the get go. @chardir No it isn't. The first hour or so of the game resemble that, but it evolves as you play into a full adventure game.